Few weeks ago, on the AfriICANN public mailing list it was reported that Madam Anne-Rachel was officially taking up a position as the as Chief Operations Officer of AFRINIC. 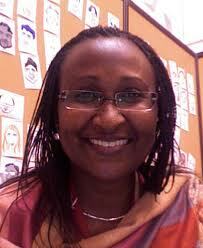 This is after a long stint at ICANN where she was the Manager of Regional Relations for Africa at ICANN. It’s not clear however why her exit came at a time when the African Internet name space is preparing to complement the existing ccTLD’s with an African gTLD .africa. Ms. Rachel is said to have been playing a role in promoting Internet and computer-related activities in Africa, as per her background posting that I read.Her major responsibilities with ICANN are to reach people, business and government, and working according to the plan of action of ICANN according to her ICANN Wiki profile. Some sources allege however that her time at ICANN and especially when representing the African Entities were marred by dissatisfaction since she always fell short of endorsing what is thought to be her African Friends at the expense of ICANN’s middle ground, especially that ICANN was trying to have its affairs more available at Africa. Perhaps her exit could be due to failure by the Internet body to renew her contract necessitating her to leave . It’s not surprising though that her exit preceded her immediate recruitment into AfriNIC, the fraternity she has supported during her career at ICANN, the African regional internet registry which is among the 5 RIRs that ICANN utilizes to manage the registries.The announcement says in part that Ms Inné brings to AFRINIC a wealth of experience having worked for many years at the Internet Corporation for Assigned Names and Numbers (ICANN) where she was lately the Manager Regional Relations, Africa.Ms Rachel is well known in the Afr ICANN Internet community from her past 14 years service, as a representative of African private sector at DNSO, consultant and staff at ICANN, and her continuous active involvement with AFRINIC, AfTLD and AfNOG communities at different levels, which alternatively call themselves Afri*. Its unclear however how much her influence would be critical in jump starting the African RIR owing to the fact that it has been largely dismally performing with the existing ccTLD’s which have failed to scale large registrations. The African internet namespace is full of need for the TLD’s but the technology as well as the marketing factor has hampered major purchases, another issue is the cost which is normally double and sometimes triple the cost of a .com among others. Ms. Rachel’s career background is an interesting to one, as she went from a translator for the UTA/Air France for the Niger office, to become the sales manager and then making a jump to an entirely new ICT field at ICANN which lasted nearly 10 years at ICANN. With this long history at ICANN however, one would think, she would have easily become the African representative since ICANN had promised to decentralize its operations and setup offices at the Regional Registries; its seems like her tenure was not well representative of ICANN’s call and therefore her exit. This may have been the reason that one of serious ICANN African Stakeholder Group DotConnectAfrica, wrote a letter to the ICANN CEO giving an unsolicited advise , requesting that her replacement be outside the Afri* grouping she loyally served. The letter soon labeled as “strange letter to ICANN”, by the same Afri* vested group was circulating within the AfrICANN community. It generated quite a great deal of debate .